Inchaban, Ghana—As chief of this fishing village of 4,500 people, Nana Akosua Mfrasie II felt deeply her responsibility to the health and welfare of women and families in her community. So much so that she turned over three rooms in her palace to establish a Community-based Health Planning and Services (CHPS) facility here. CHPS is a nationwide initiative to relocate primary health care services from sub-district health centers to convenient community locations. This way, women and children suffering from malaria, anemia, diarrhea and worms can get the health services quickly without having to walk long distances from home. The chief’s decision engaged the community in their health in a new and different way. 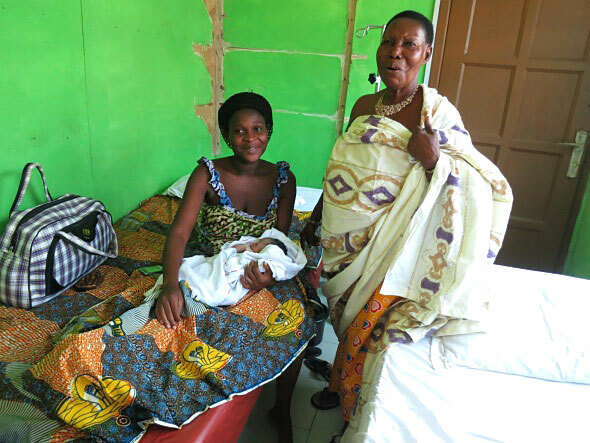 Community leaders, local government, families and social organizations are actively involved in the operations of the health facility, which is supported by the Ghana Health Service. Chief Nana Mankrado V greets a mother who has given birth in the new CHPS facility. With the involvement of the STAR CHPS Project, which is led by Jhpiego and is funded by Jubilee Partners—an oil consortium of Tullow Oil, Kosmos Energy, Ghana National Petroleum Corporation, Anadarko Petroleum and Petrol SA—a group of residents was selected and trained as community health volunteers. 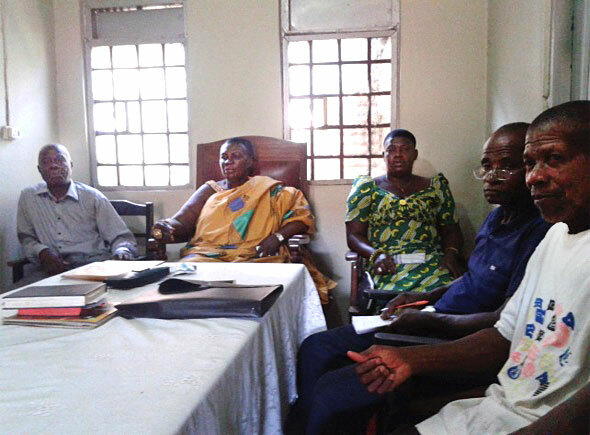 A Community Health Management Committee was also formed as is required under Ghana’s CHPS system. A durbar gathering was convened with the involvement of the chiefs, queens and opinion leaders of the community to present the community health volunteers in their new role as resources for the community’s health. It also provided an opportunity to introduce members of the health committee who assist the Community Health Officer, a community health nurse who provides clinical and public health services to the community through the CHPS system. This innovative approach to providing health services to communities is being implemented in cooperation with the Ministry of Health. The goal of the Jhpiego-supported STAR CHPS Project is to increase access to quality basic primary health care in six coastal districts in the Western Region. Jhpiego is accomplishing this through an integrated, holistic approach to improve the quality of health care services including malaria control, antenatal care, family planning, immunization, growth monitoring and basic outpatient care available through CHPS, which includes the health facilities and surrounding communities. Chief Nana Akosua Mfrasie II and elders. Chief Mfrasie’s experience at the durbar deepened her understanding of CHPS while igniting her conviction to do more for her community. She convened a meeting with her council of elders to discuss what more they could do to assist the CHPS-supported facility. After this meeting, it was decided that the community, in collaboration with the chief, would donate a Binatone standing turbo-powered fan to cool the outpatient department. They also procured benches to accommodate the increasing number of clients visiting the facility every day. This increase in patient load can be attributed to the efficiency and high quality of health care services, as well as outreach, regular home visits and health talks organized by the STAR CHPS-trained staff and volunteers. Since the STAR CHPS Project began in the community, attendance at the health facility has increased from about 500 cases every month to more than 1,000 cases. In addition to relocating primary health care services from sub-district health centers to convenient locations within the community, CHPS focuses on providing services to people in their homes and recognizing the improved partnership with households, community leaders and social groups.